In A Loving Father, writer Leo Shepherd (Gérard Depardieu) is informed that he has won the Nobel Prize. 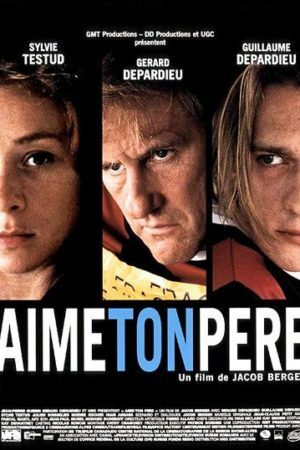 He lives in the Swiss countryside with his daughter, Virginie, who has given up her entire life for him, and he has an estranged son, Paul (Guillaume Depardieu), who lives in the city. Leo makes his way to Sweden on a motorcycle, against the advice of his friends. Wishing to reconnect with his father, Paul sets off to find him. They first meet up at a petrol station, and later at the scene of an accident. Leo barely manages to survive. Taking advantage of the confusion, Paul kidnaps Leo, claiming that his father had not spent much time with him when he was growing up. Meanwhile, Leo’s identification papers are found at the scene of the accident, and he is reported dead.